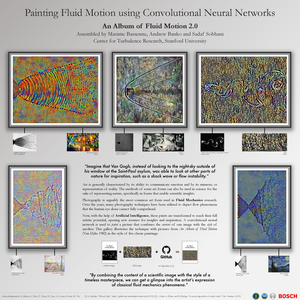 In 1982, Milton van Dyke published An Album of Fluid Motion, a unique collection of over 300 black-and-white photographs illustrating a diverse set of fluid phenomena. With the help of Artificial Intelligence, these prints are transformed to reach their full artistic potential, opening new avenues for insights and inspiration. 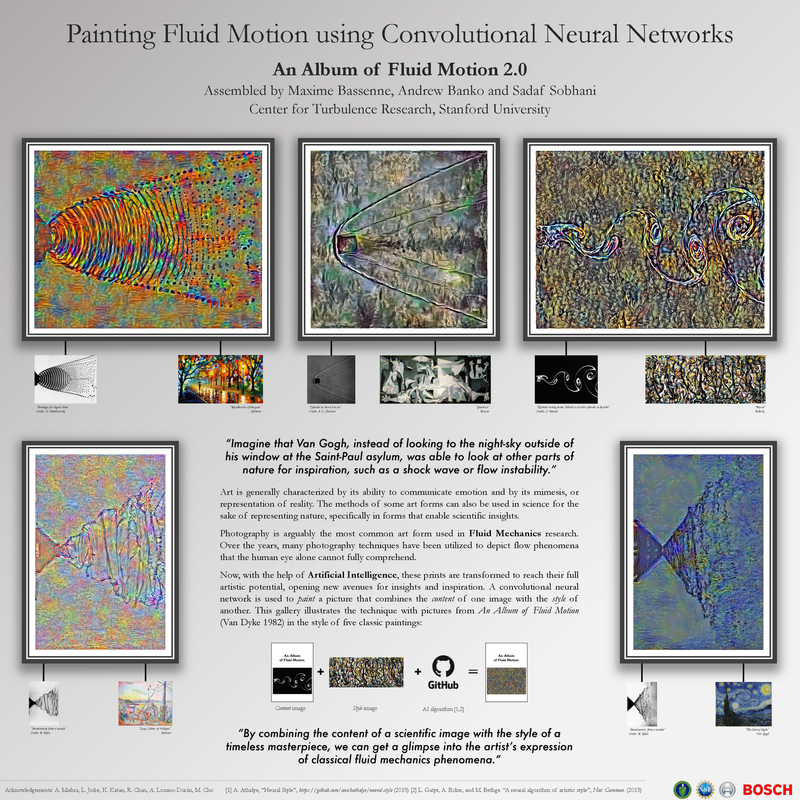 By combining the content of one of these photographs with the style of a timeless painting, we get a glimpse into the artistic expression of classical fluid mechanics phenomena.